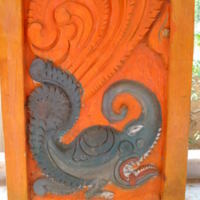 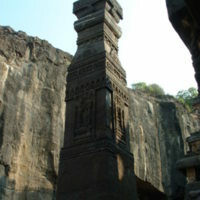 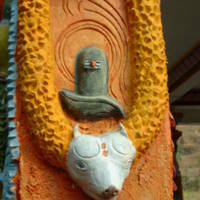 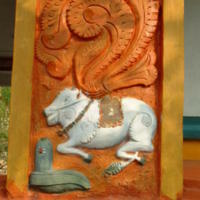 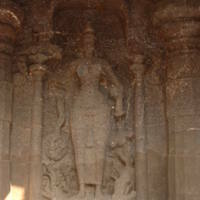 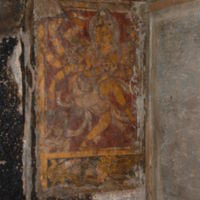 On a pillar of the temple, Shiva's bull, Nandin, protects a Shiva Linga. 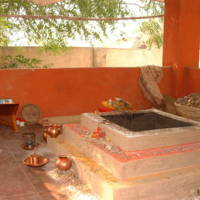 At this Temple devoted to Datta, a Shaivite ascetic who lives in a nearby cave, tends this altar and performs daily fire rituals. 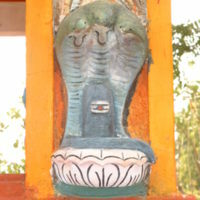 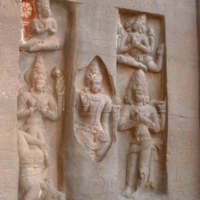 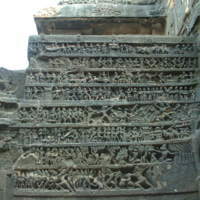 The wall sculpture illustrates the tale of Vishnu and Brahma who find they are no match for the mighty Shiva whose power symbolized in his lingam has no beginning or end.